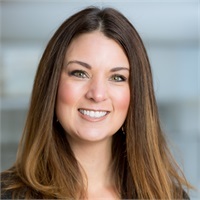 Heidi King is a Financial Advisor with Raymond James Financial Services and an Accredited Asset Management Specialist SM with the Wilson Bank & Trust Investment Center. With over a decade of experience in the Financial Services Industry, her top priority is to see her clients accumulate and preserve wealth in their personal and professional lives. As a relationship based advisor, each customer is more than just a client to her. For this reason, Heidi always breaks down each step of the planning process to ensure the client fully understands the risks and rewards of investing. Heidi graduated from Cumberland University in 2002 with her bachelor’s degree in Business Administration along with a double minor in Marketing and Management. After she started her career Financial Services at Wilson Bank and Trust in 2003, Heidi earned her Series 7 in 2006, Series 66 in 2007, and life and health licenses in 2009. She earned her AAMS® designation from the College for Financial Planning in 2014. Prior to rejoining the Investment Center at Wilson Bank & Trust in 2013, she worked at Jackson National Life Distributors as a Business Development Consultant from 2011-2013. Heidi is also a graduate of the Leadership Donelson/Hermitage, Class of 2011, and currently serves on the United Methodist Foundation for the Memphis and Tennessee Conferences’ investment board. Heidi and her husband Blake reside in Mt. Juliet with their two children, Parker Lynn and Brayden. She enjoys spending her free time watching Parker Lynn play travel soccer, spending time on the lake, and hosting friends and family for dinner. *Raymond James is not affiliated with the above organizations and / or charitable causes.